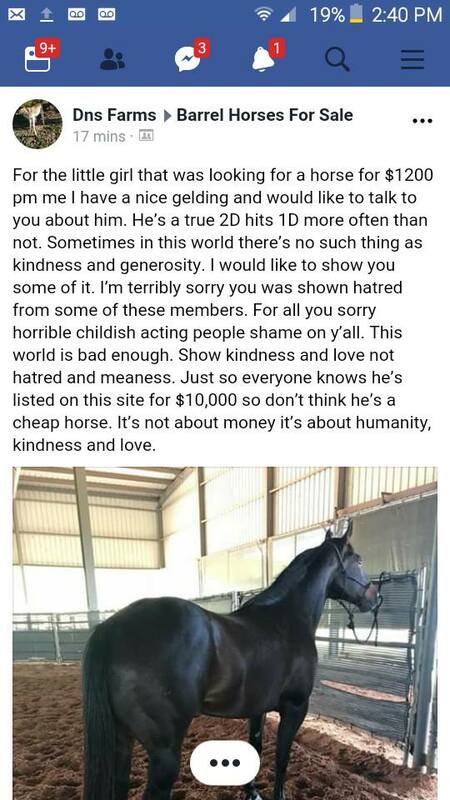 A young girl who posted in a barrel racing group on Facebook looking for a $1200 horse was bashed soon after. She ended up removing the post, but not before it caught the eye of the good people at DNS farms. They had an idea of their own that would make this young girl’s dream come true. 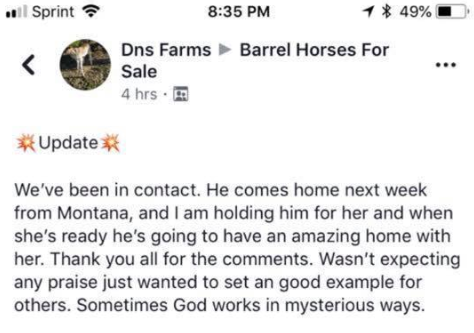 They felt that a $10,000 horse that they had the sale would be a great fit for the young girl and even though she couldn’t afford him, they wanted her to have him because as they put it, “It’s not about money, it’s about humanity, kindness, and love.” The only problem was, they didn’t know who the girl was. So…they went right back into the same group to find her. Read their post below. Shortly after, they were able to find the girl and in the process warm the hearts of many. They posted an update! 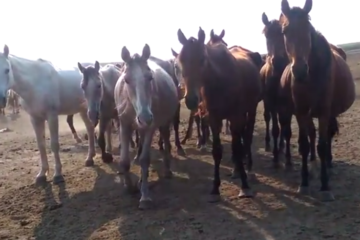 The young girl wrote, “I’ve been waiting for this day for years!” The best part is, the girl was blessed with more than a horse. 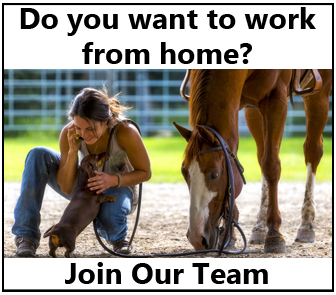 Other members of the group offered her free tack, saddles, and entry money! Source: Heather Peterson & Kelsi Jean Facebook. I think it’s important to remember that at some point in our lives we were all that little girl. We may not have had much money, but we had big dreams, dedication, and most of all….we LOVED our horses (still do)!! I love the horse community and feel blessed to be a part of a group of people that are driven by passion and HEART! Share this on Facebook if you agree! 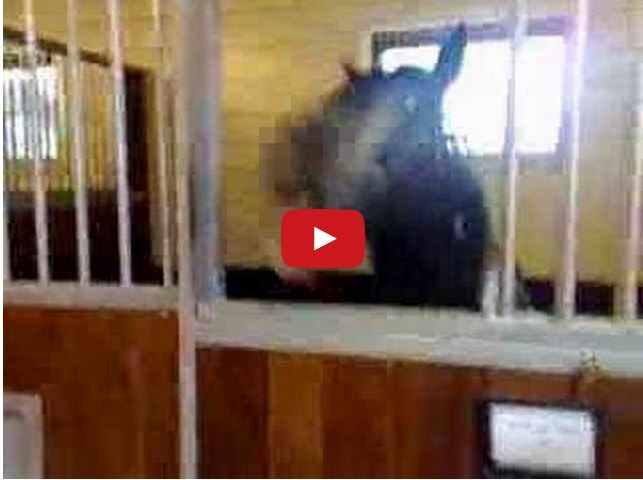 Watch This Toddler Brush Her Favorite Quarter Horse – Adorable! 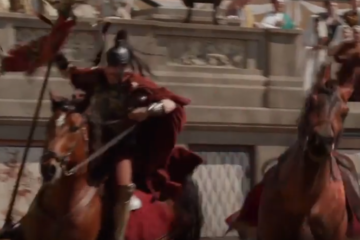 This is how they get HORSES to do DANGEROUS STUNTS in movies! Your an awesome person, Thank You for kindness. I have always loved horses. I remember every one of them. My Dad and I spent almost year when I was old enough to pick out my 1st horse. I always wanted be a barrel racer too. Then I found Sugar and it was love at 1st sight. I spent many happy hours and we rode lots of miles together and no we did not end up being a champion barrel racer. I do not regret it one minute, Thankfully we still have horses. Thank you for helping this girl have a chance at her dream. May God Bless you. This is beautiful. God Bless you and everyone else. Including the young girl and this beautiful gelding. Praying they have a bond that sticks like glue and forever.